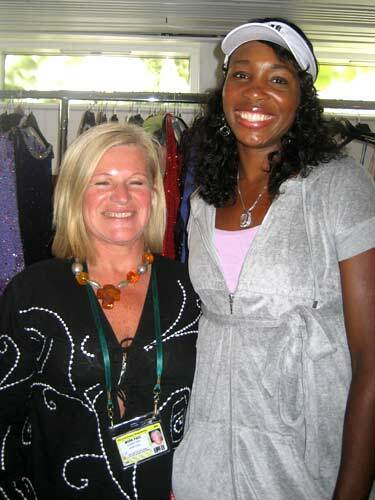 2008 Wimbledon Tennis Stars dressed by Having A Ball Dress Hire. 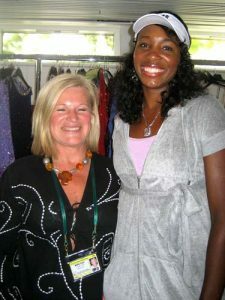 Elisabeth Piner and Having A Ball Dress Hire once again provided dresses and a full dressing, hair and make-up service for many of the 2008 wimbledon tennis stars, for the Wimbledon championship ball at The Intercontinental Hotel in Park Lane, London. Once again we were joined by Ella, our professional make-up artist and hairstylist and by Francesca Arpino, to prepare this year’s winning players, friends and family members, for the ball. 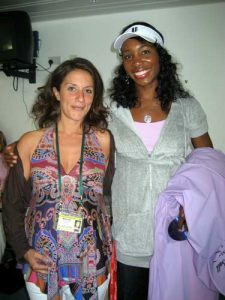 See below for pictures of Ella preparing Britain’s 2008 teenage Wimbledon winner, Laura Robson, plus (more) pictures of tennis superstar Venus Williams and her mother. with Elisabeth Piner of Having A Ball Dress Hire, London. with make up by Ella, courtesy of Having A Ball Dress Hire, Kingston. with hair-dressing services by Ella and Having A Ball Dress Hire, Kingston. Dress Hire London, preparing for the 2008 Wimbledon championship ball. 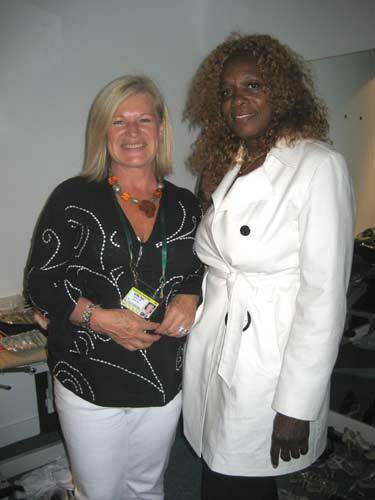 of Having A Ball Dress Hire, London, for Wimbledon 2008. For more than 10 years Elisabeth Piner has dressed the Wimbledon tennis stars for the championship dinner at the Savoy. Beautiful dresses designed by famous names such as Jenny Packham and supplied by Having A Ball dress hire have been worn by such Wimbledon tennis stars as Maria Sharapova, Venus Williams, Serena Williams, Angelique Widjana, Virginia Wade, Pam Shriver, Steffi Graf, Lindsey Davenport, Jana Novotna and many more.